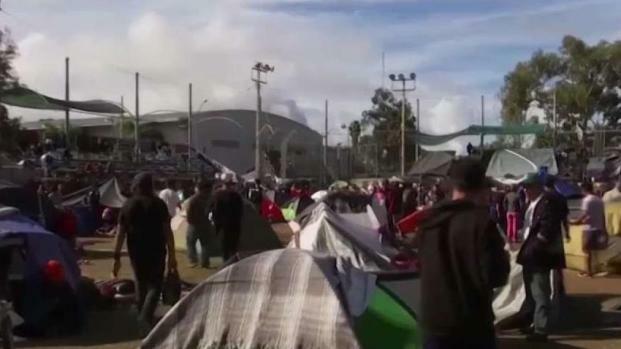 More than 5,000 migrants have been camped in and around a sports complex in Tijuana. Roughly 5,800 troops were deployed to the area as part of "border hardening" efforts by the U.S. The San Ysidro Port of Entry is the border's busiest crossing, with about 110,000 people entering the U.S. every day. 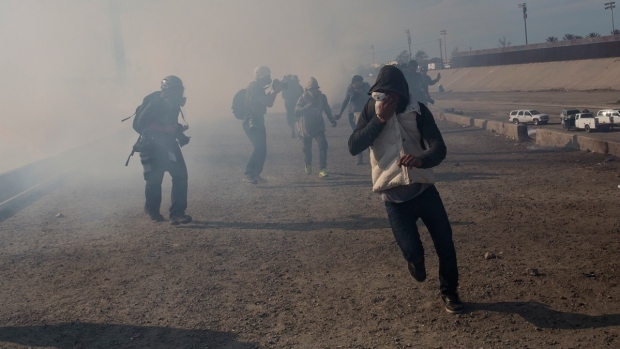 Tijuana Police arrested 39 people and turned them over to Mexico's National Institute of Migration, according to the agency's Facebook page. Migrants will be deported to their countries of origin for inciting violence and disorderly conduct, the post said. The pedestrian crossings had been suspended earlier in the day. Interstates 805 and 5 and state Route 905, which were partially shut down, reopened shortly after 5 p.m.